A small city in Northern Italy, Venice is a definite stop you need to make if you plan to travel abroad. Only seven miles in diameter, the city is packed with amazing food, people and culture. After spending a month studying in this beautiful city, I can attest that these are some of the best spots to check out! 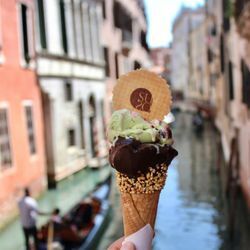 There is no better way to enjoy Italy, especially during the hot months, than indulging in a cup or cone of Venice’s finest gelato. You cannot walk down a street in Venice without seeing a shop selling this frozen dessert, but a small shop called SuSo was one of my favorite places to stop whenever my sweet tooth craving got the best of me. Really any gelato tastes good when it's from Italy, but just make sure to avoid eating it on the bridges. You can actually be fined as a tourist if you stop to eat on one of these bridges! 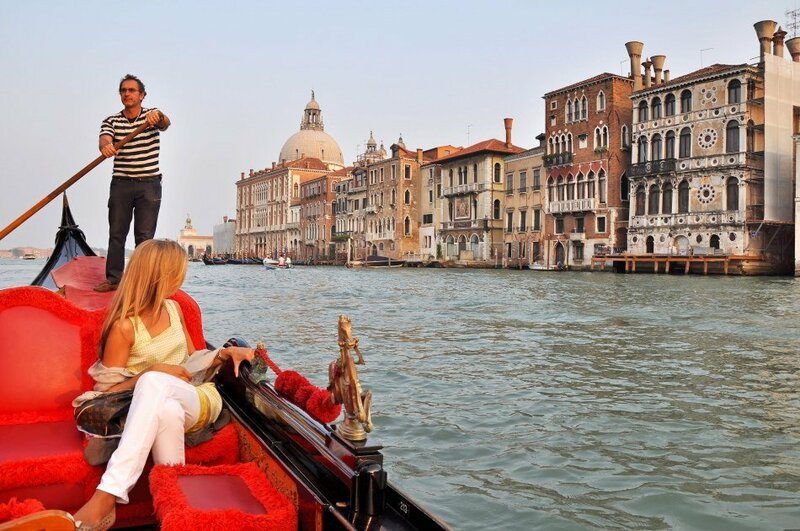 See Venice from a whole new perspective by enjoying a gondola ride through the peaceful lagoons and canals. The image of a gondola is iconic to the history and tradition of Venice. So riding in one is a must! Just beware, the prices can be a little expensive, but it is definitely worth it! The Doge’s Palace is located in San Marco and is one of the most famous buildings in all of Venice. The architecture is extremely ornate and incredible to see in person. If you have the opportunity, I would recommend taking a guided tour because there is some incredible history behind this lavish landmark. After you visit the Doge’s palace, pop on over to Saint Mark’s Basilica which is also located in the Piazza de San Marco. The church is beautifully designed inside and out. It is definitely worth taking the time to peak inside. 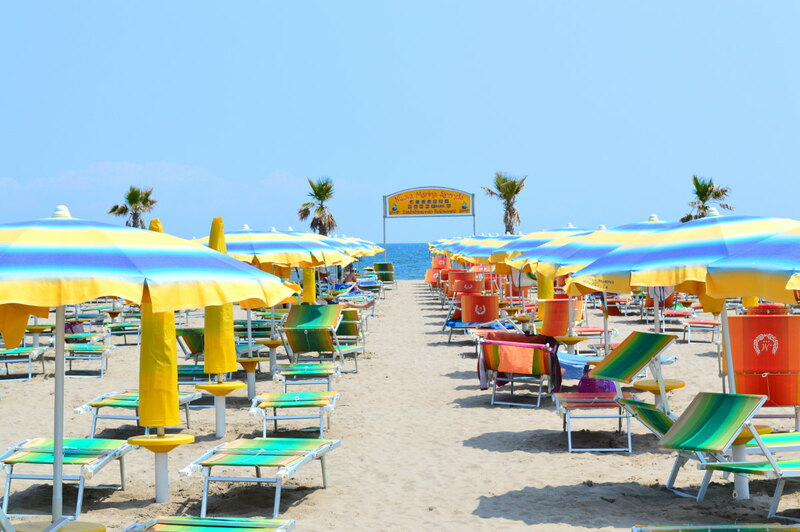 Although not located on the mainland of Venice, Murano is just a short ferry ride away. The island is known for its incredible and intricate glass making. You can watch a demonstration of glass blowing, visit some museums, or shop for handcrafted glass made right there on the island. If you want to take a quick break from the bustle of the mainland, Lido is a quaint island where you can enjoy beautiful beaches and great shopping! 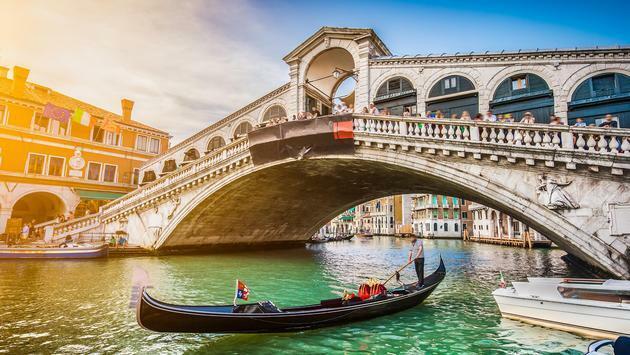 The Rialto is a bridge that cross the Grand Canal. It is one of the biggest tourist attractions of the city. There is an amazing view of the canal from the center of the bridge. I recommend going during the early evening hours. It will be less crowded and you may be able to catch the sunset over the water.